You can’t buy happiness, but you can buy tea, and that’s the same thing..
…so true is that! I’m a tea lover and its aroma simply lightens my mood and refreshes my soul. How many of you agree? Only tea lovers, maybe. But, I must say that once you try this range that I’m gonna share now, everyone of you will start loving a brewed cup of tea, because it would simply be irresistible. A few days back, I got home a few packs of Namhah tea. It is my latest finds in “Best teas of India”. 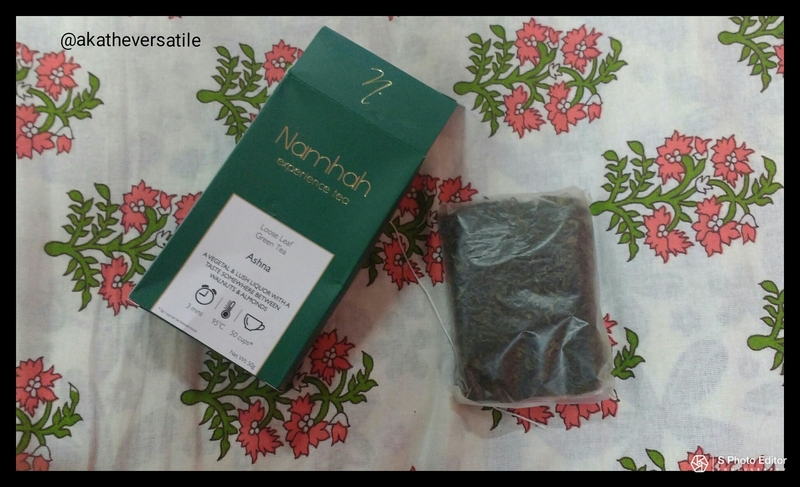 Founded by Ankit Baid, Namhah aims to provide tea lovers with premium tea of great taste and impeccable flavor and aroma at the most reasonable and best prices. How did #akatheversatile liked Namhah? 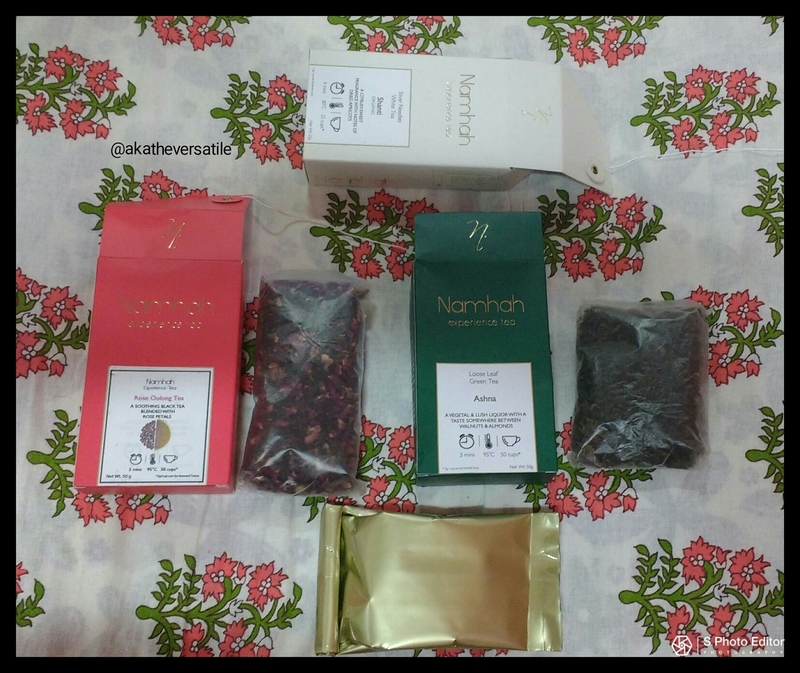 I received 3 different varieties of Namhah Tea namely, Silver Needles White Tea, Rose Oolong Tea and Grean Tea. The packaging was neat and not tampered or broken. The moment I opened the box, a lovely aroma of ancient tea brimmed the room. Each packet is neatly packed and has a tied rope like packaging at the back to open and close the packet. I tried each of them every other day, starting with the Rose Oolong tea. 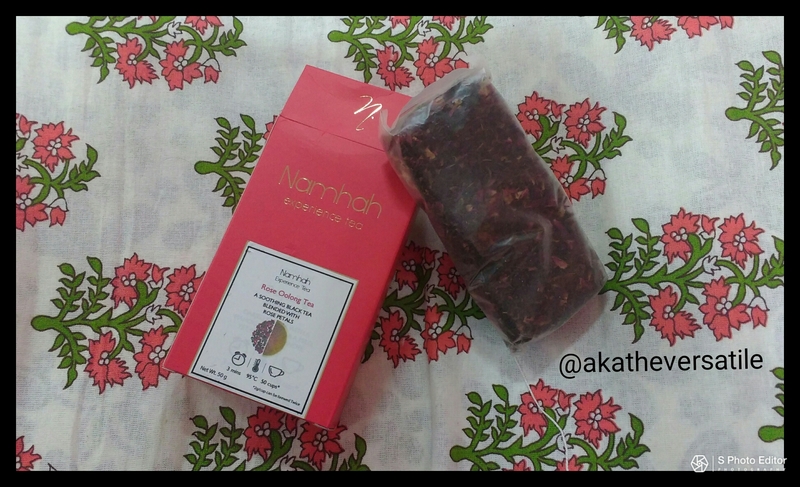 I have previously tasted Rose Oolong, but this variety by Namhah was something spectacular. I completely enjoyed the sweet taste and it has the aroma of rose. The drink still lingers in my mouth whenever I think of it. Without a doubt, this flavor became my absolute favorite. Silver Needles White Tea has a beautiful and unique taste and as the packet claims, it has a citrusy-sweet fragrance with notes of dried apricots. Another favorite in the list. Green Tea is something which most of us must have tried out, as it claims to provide us with a bunch of anti-oxidants with every sip and is refreshing, but Namhah’s Green Tea is a must try, as its taste is impeccable. My favorite? The Rose Oolong Tea took my heart away followed by Silver Needles White Tea and Green Tea. The packets are priced at INR 299/-, INR 399/- and INR 299/- respectively. They are reasonably priced and each packet weighs 50g except for Silver Needles White Tea which is 25g. The most unique and great thing about Namhah tea is that they can be brewed twice and still give the same flavor and aroma, thus it is value for money. How did you like the review? 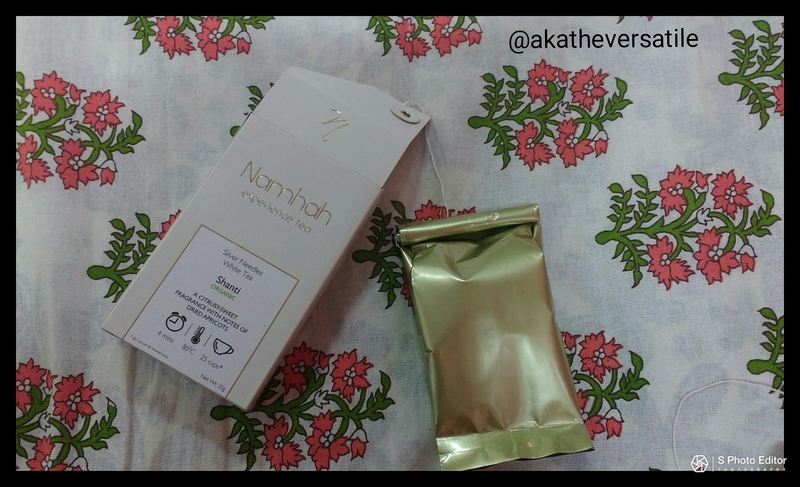 Have you tried Namhah Tea Range before? What’s your favorite brew? Share your ideas in the comment section. Teas come in so many flavors nowadays! This rose tea sounds great. Tea’s are a must for every human in this world and when they are available with so many types of it, it is always the best solution to have the type of tea one wants and can get freshen up! Thanks for the post will get them soon! I have never tasted Rose Oolong tea. From your review it sounds like its really good. I am tea lover.. Will surely check out this tea as well..
Haven’t tried this range but being a tea lover this sounds like a must-try! Being a tea lover, this is a must have product for me.. thanks for letting me know of this! Haven’t tried this but because I’m a tea lover so would love to try this now. I love to try different types of teas. Oolong tea is something I love and would love to check how this brand tastes. Sounds so refreshing. Would love to taste these. They are definitely very reasonably priced and the rose tea is something im really tempted to try!